Your news source for triathlon in Colorado since 1999! 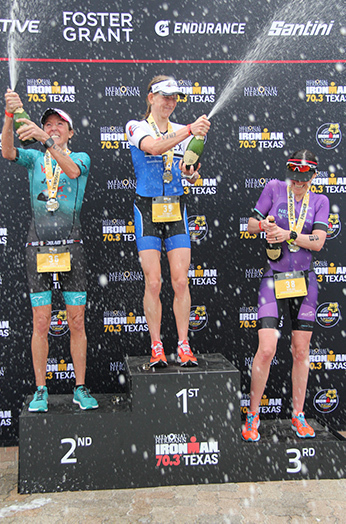 Colorado Triathlete caught up with Jeanni Seymour following her win at Ironman 70.3 Texas to discuss how her training and racing is evolving. Colorado Triathlete: How has your training and race preparation evolved over the past year and leading up to this race? Jeanni Seymour: I made it a priority to take a longer off season and stayed patient throughout the winter. Not racing too early this year allowed me to put in consistent training that my coach and I felt was needed for the objectives we have. This also made me hungry to race again. The first race of the season is always a bit of an unknown but I took it as an opportunity to blow out the winter training cobwebs and test out my current fitness. I owe a lot of my continued progress to my coach, Jesse Kropelnicki. We have built a rock-solid coach-athlete relationship and he has a way of challenging me while at the same supporting me in just the right way that works for us both. The most important component of my training has been my ability to keep consistent and stay healthy while putting in big training blocks. This is what makes you better, it does not come easy and it takes time. 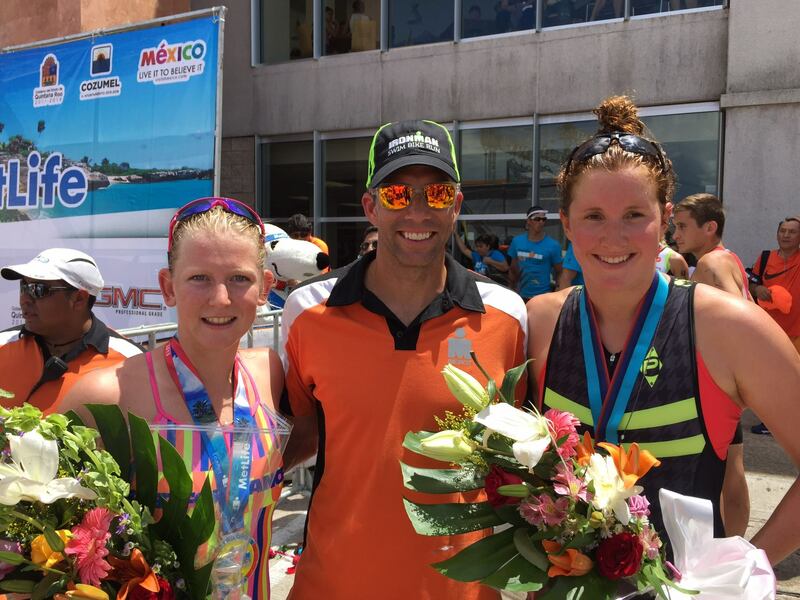 CT: How do you feel that the sport of triathlon and the women’s race is evolving? JS: The sport is evolving so rapidly that sometimes you can miss a beat if you focus everything on racing the entire year. I have learned quickly that if you are unable to evolve, you will get left behind. We took this winter to analyze the situation and get better. 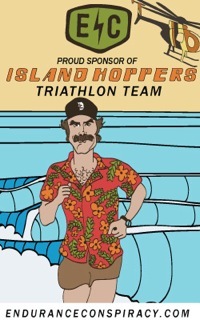 Triathlon continues to evolve and it is getting faster every year. The standard keeps being raised and I enjoy seeing woman at the highest level pushing those boundaries. It motivates me to be better. CT: How did you feel on race day and what was going through your mind as the race played out? JS: Naturally, I was both nervous and excited to kick off my 2019 season but I am happy to have been able to execute my current fitness on the given day. I dream of the days where everything comes together. Those are becoming harder and harder to come by so winning is something I never take for granted. It’s a great feeling to have all of the hard work rewarded with this type of performance. I felt great swimming and was able to hang with super swimmer Rachel Olsen. I had a quick transition and was first onto the bike but Alycia Kaye and Meredith Kessler caught me quickly around mile 5. It was not easy riding with these strong women but I decided to go for it and back myself. This is a flat, fast out-and-back course and we had a head wind on the way back which made the last few miles challenging. But I stayed patient and I came into T2 with the main group. I didn’t not know how my legs were going to feel on the run, but as soon as I got onto my feet it was full speed ahead! There was no letting up on this three-loop run course with the speedy Lesley Smith hot on my heels. But I was able to hold her off and cross the finish line in first. I love pushing my body to the absolute limit and getting the most out of myself on the given day. Finding that place where you want to quit but you somehow find the strength to ask your body for more is a special place that I seek to find in every race. When I can get there, I have my most fulfilling performances. But having my coach Jesse waiting for me on the red carpet for this race was so special and I think we were both a bit teary as we both invest so much. When I win, my team wins. CT: What’s up next for you? We wish Jeanni the best of luck when she returns to Texas and can’t wait to follow her as she competes in her first Ironman! Special product giveaways each month! Watch each newsletter to see if you've won.